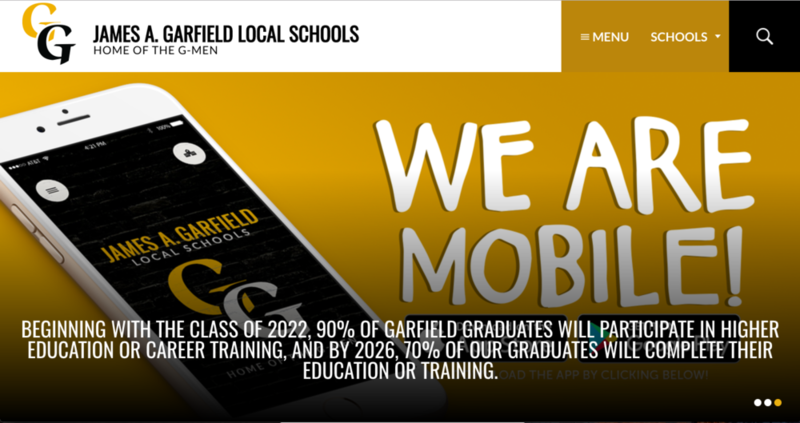 This summer, the James A. Garfield Local Schools will be updating three areas of technology in an effort to make communicating with our parents and community easier and more efficient. We are very excited to announce that the James A. Garfield Local Schools has partnered with FinalForms, an online forms and data management service. FinalForms allows you to complete and sign enrollment, back-to-school, athletic and activity participation forms for your students. The most exciting news is that FinalForms saves data from season-to-season and year-to-year, meaning that you will never need to enter the same information twice! FinalForms also pre-populates information wherever possible, for each of your students, saving you time. You may review your data at any time to verify it is current. You will be required to digitally sign your forms once per year and/or after any update. We are asking that ALL parents use FinalForms. Recently, we imported information from our current system into Final Forms. This should trigger an email sent to the email addresses we have on file for you. This email will have a link with instructions on how to access your forms and review/complete your information. Opportunities will be available for parents to come in and complete their forms with assistance upon request. Kiosks will also be available in each of the school offices. If you have not received and email, you can call the district office at 330.527.4336 for assistance. Note: If your student is NEW to the district (kindergarteners and transfers), please be sure to click the “New to District” checkbox when registering your student. On July 1st we also released our new website and mobile app. The new site provides easier navigation, integration with our Facebook and Twitter accounts as well as a much-needed facelift! This website now integrates all of our communication. Information will follow soon on how to sign up for notifications via phone calls, texts and emails through the new website as it will be replacing our Edline notifications. The JAG Mobile App will allow you to receive push notifications regarding school emergencies, messages or news. You can download the mobile app in the iTunes App Store by searching JAG Mobile, OH or Google Play Store by searching for JAG Mobile. In the settings you will be able to customize which buildings you wish to receive notifications from. Finally, we are pleased to announce that we are moving to a new online gradebook called ProgressBook. This new gradebook allows for real-time viewing of your child’s academic progress online. Information on how to access this new program will come home with your child as we start the school year. Further, it digitizes our attendance system, allowing us to notify you in a more timely manner should your child be absent from school. Our community takes great pride in having an excellent school system. We want to take full advantage of all the opportunities technology affords us to communicate all of the excellent accomplishments of our students and staff. We know you will enjoy JAG 2.0! If you have any questions, please feel free to contact me directly in my office (330.527.4336) or on my cell (216.534.7413). Copyright © James A. Garfield Local Schools 2017. All rights reserved. Powered by apptegy.